There are individuals who push tools, materials, and craftsmanship to the limit in the world of micro RC aircraft, and [Martin Newell] gives some insight into the kind of work that goes into making something like a 1:96 scale P-51 Mustang from scratch. The tiny plane is 100% flyable. It even includes working navigation lights and flashing cannons (both done with 0402 LEDs) and functional, retractable landing gear. It weighs an incredible 2.9 grams. Apart from the battery, everything in the plane was built or assembled from scratch. A video is embedded below. 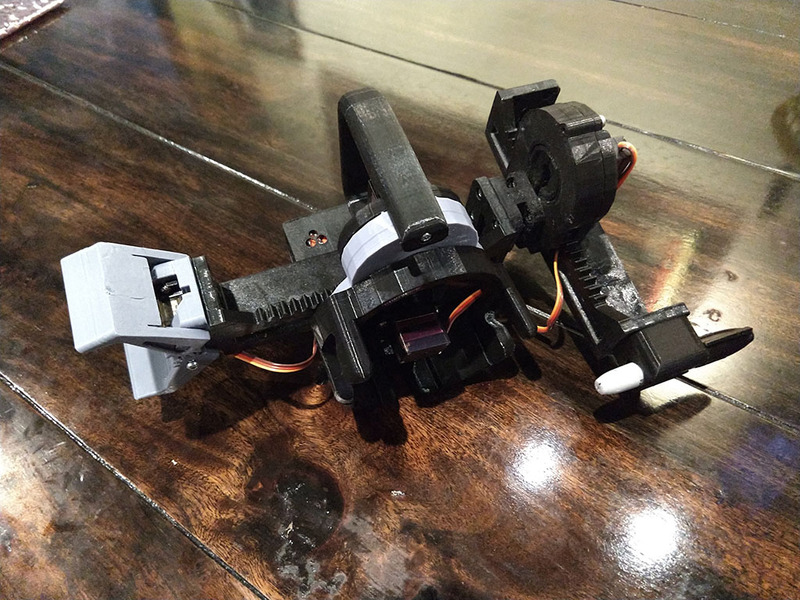 If you have a few hobby servos lying around, here’s a hack that let’s you recycle them and put them to good use. [Kedar Nimbalkar] took a micro servo and converted it into an electric screwdriver. It is simple enough to deserve a short video showing how he did it. He starts by opening up a 9G micro servo and removing the electronics. All that’s needed is the DC motor and the gears. The two motor wires go directly to the battery via a polarity reversal switch to allow the motor to turn in both directions. The servo horn is cut to size so that it is a tight fit inside the screwdriver socket. A liberal amount of glue is used to make sure it stays in place. The horn is then attached to the modified servo, ready to take interchangeable bits. One last mod before closing up the servo is to convert it to continuous rotation by cutting off the stopper in the drive gear. He built the power supply from scratch, using a 18650 Li-Po battery, a 5V USB charger, a DPDT switch to allow direction control and a push button to actuate the screw driver. A pair of LED’s connected back to back serve as direction indicators as well as some local illumination. There’s lot’s of scope to improvise and do everything differently, but the basic premise of using unused servos for a handy electric screwdriver is pretty neat.